Deflationary trend continued for the 10th month in a row with inflation plunging to a historic low of (-)4.95 per cent in August on cheaper fuel and vegetables, putting pressure on RBI to cut interest rate. 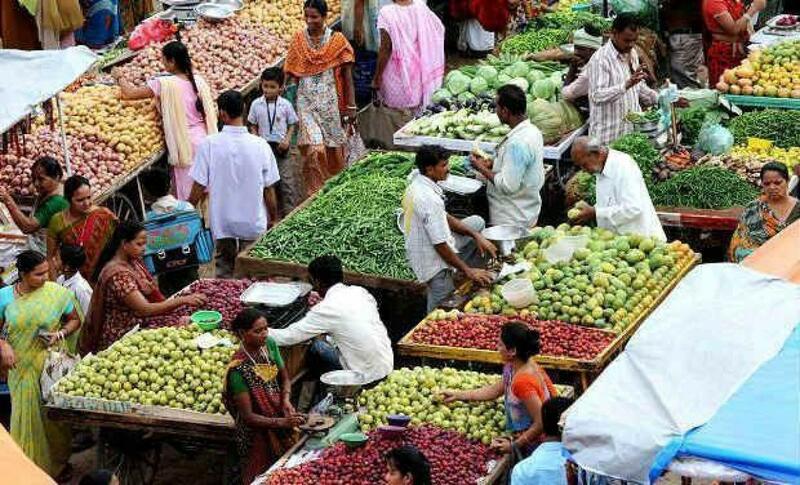 The Wholesale Price Index-based inflation was (-)4.05 per cent in July. It has been in the negative zone since November 2014. In August 2014, inflation was 3.85 per cent. However, onion and pulses turned costlier with inflation at 65.29 per cent and 36.40 per cent respectively during August, as per official data released on Monday. Overall, the food basket inflation remained in negative territory for second month in a row at (-)1.13 per cent. For vegetables, it declined to (-)21.21 per cent, helped by potato at (-)51.71 per cent. Inflation rate in fuel and power segment was (-)16.50 per cent, while that in manufactured products was (-)1.92 per cent in August. Besides pulses and onion, the food items which became dearer in August are eggs, meat and fish (3.30 per cent), milk (2.08 per cent) and wheat (2.05 per cent), as compared to provisional estimates of (-)2.40 per cent. The Reserve Bank mostly tracks the Consumer Price Index- based inflation for its policy decision, and its next review is due on September 29. The CPI or retail inflation data is expected later in the day. CPI in July recorded a low of 3.78 per cent. As RBI wanted more clarity over inflation numbers in the months to come, it kept the key rate unchanged in its monetary policy review on August 4.